Launcher apps are essential for any Android phone or tablet. Most of the stock launchers are hard to use and lack security, personalization options too. That’s why we opt for third party launchers. They will bring more functions, beauty to our device with added support to hundreds of HD themes, icon packs from Android market. That’s all? The answer is no. These launchers offer more than that. Just go through our list of best Android launchers in Play store for 2017. Nova is one of the top launchers for any Android device. It delivers stylish look as well as smooth functionality with highly customizable features and options. 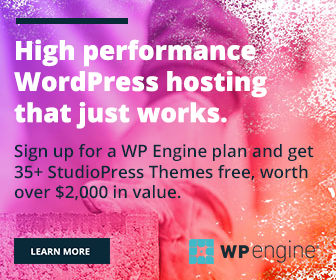 Options to manage colors, labels, fonts, layouts, backgrounds etc. Premium users can hide apps and create custom drawer groups, tabs, swipes etc. 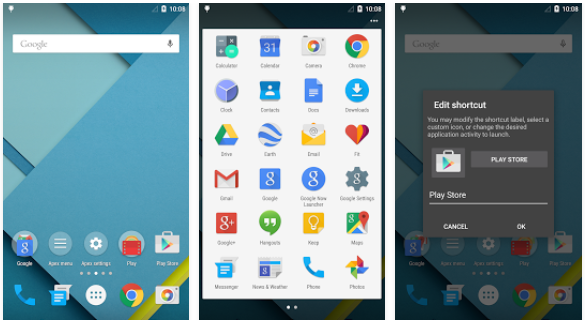 Apex is another popular alternative to default launcher app in Android. It’s easy to use and essential to give a complete make over to your phone. Highly customizable to manage screens, icons, layouts, labels, folders, and backgrounds. ZenUi is one of the top launchers for Android. I am using it for a long time in my smartphone and naturally my favorite in this category. It has a beautiful interface, lovely themes, and options to hide and lock apps to prevent unauthorized usage. Protect your private apps by app lock and hide app features. CM is fantastic 3D launcher from Cheetah Mobile, makers of popular Clean Master and CM Security. It comes with hundreds of HD themes, icons, live wallpapers and other features that make your device more smarter. Solo is another brilliant launcher as it features thousands of free-premium quality themes, live wallpapers, screen lockers, fonts and more. Smart, highly personalized launcher app. It’s speedy, battery saving launcher with tons of free themes, wallpapers and effects. 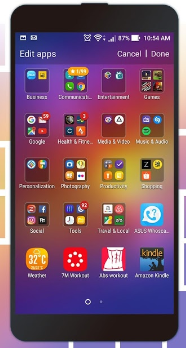 C Launcher ensures your phone’s safety via hiding apps and app lock options, thus you need not worry about privacy even though the device left in the hands of some others. Customize anything you want including themes, icons, gestures, icons etc. 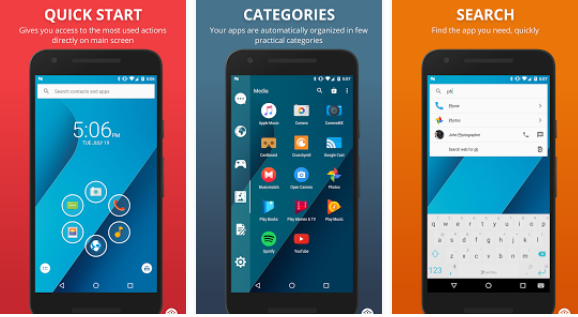 Smart Launcher 3 is an innovative launcher that makes our phone more intuitive and organized. 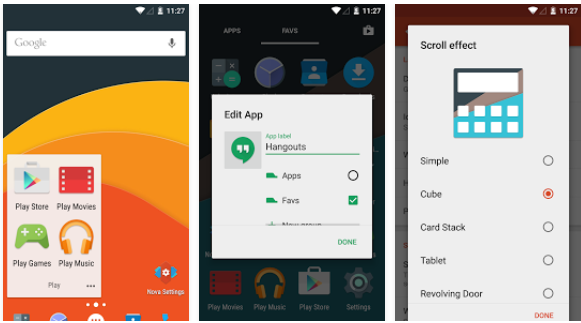 It provides tons of free themes, lock screens, and other tools that let you manage Android more efficiently. Hola is another launcher to beautify your phone screen. 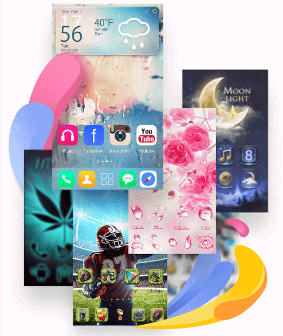 It is packed with a collection of high-resolution themes and wallpapers that enriches the device in a unique style. TSF is a fantastic launcher powered by a 3d engine. 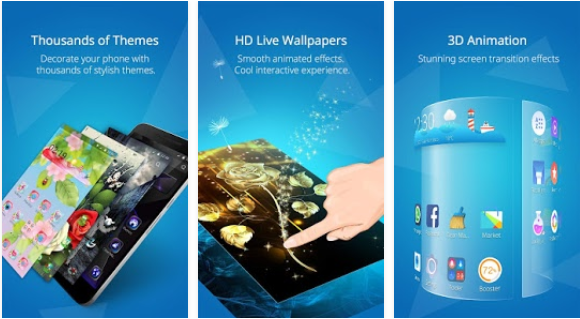 It contains miraculous 3d effects, widgets, themes and more than 10 home screen layouts to choose from. There are over 10 exclusive 3d widgets such as weather, clock, music, message etc to decorate your home screen. 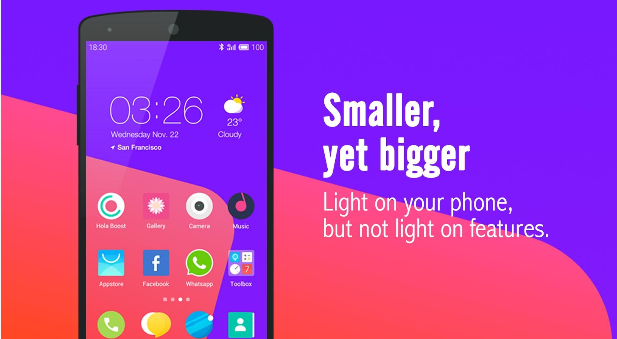 Go is smart, stylish launcher which has millions of fans around the world. It offers great control over your device with powerful tools to manage the look and feel of Android. Professionally designed themes and personalized mobile operating experience enjoyed never before won’t let your phone down.